Bronwen is a designer from London with experience in both brand and digital design. Her passion lies in learning and evolving her skills. How does being a better communicator help a designer? The digital revolution has created a demand for a new form of design professional: the unicorn. Technological demands have forced designers to become multifaceted. In the current environment, it’s no longer acceptable to be talented at design aesthetics alone—these days, you are expected to also have a good working knowledge of digital strategy, customer journey mapping, and coding. But there is one skill that will trump them all: good design communication. Most designers are now armed with at least some coding knowledge. But many businesses also know that there is far more to being a stand-out designer than having the ability to code. As the 2017 Design in Tech Report explains, design is no longer just about aesthetics and output—it’s about holistic product design, market relevance, and meaningful results. Design has a place at the head of the table. Yet, while we are in an age of infinite communication channels and inspirational conversations around design, our ability to communicate design competently is an area in which designers need to improve. Where is the gain in being extraordinary if you can’t communicate your ideas and processes, design concepts, and principles effectively? Case in point—ours is an industry where collaborating with clients you never meet face-to-face has become the norm. And while it is true that nearly every design process can be done from our homes, a shared workspace, or a coffee shop, let’s be frank: How easy is it to communicate design effectively while working remotely? First, the ability to communicate design compellingly demonstrates intelligence. And while designers may be clever and reasoned, having the ability to articulate design decisions assures stakeholders they can be trusted and have the expertise necessary to complete the job. It also proves purpose, validating that they have thought about their solutions and that there is logic to their approach. A clear explanation tells businesses that the outcome is a result of user research, product testing, and a well-thought-out design process. Second, having good communication skills indicates that we have a level of confidence in our abilities. As designers, we possess the knowledge and experience to understand the user’s needs while also having the craftsmanship and expertise to interpret these needs into practical and aesthetically engaging solutions. To demonstrate our understanding, we must be able to articulate a considered design approach without reservation. And finally, it demonstrates respect for others. Designers need contributions and ideas from others—they need to understand different perspectives. When designers are well-spoken and literate, it shows they respect and value their stakeholders and users. It demonstrates that no ideas go unheard and that they are not so arrogant to believe they know best and find the input of others redundant. Why Become a Better Design Communicator? To get support from the team. It’s not enough for you as a designer to solve problems or create solutions. Without support from your team, your ideas will go nowhere. There will always be others involved in the decision-making process, and it is crucial to have support from your colleagues if you want to see your ideas taken forward. Communicating design concepts and principles, ideas, and solutions in an empathetic and practical manner will help you get your message across, but being able to listen to others is of equal importance. Taking your team’s feedback into account goes a long way to making people feel they are being heard and appreciated, and they will be far more likely to support your design decisions down the road. To convey design decisions to a non-designer. The industry is full of people with markedly different job titles and levels of design understanding: researchers, marketers, product managers, and developers. Each of these professions will have a different motivation for a project, a different level of involvement—they also may have little or no idea about design. Often, within a business structure, those who manage the design team lack the comprehensive knowledge and full understanding of the design process. As leaders, they are typically involved in all stages of a project, and for a project to run smoothly, it is critical that designers articulate their research and design solutions to them effectively. Unfortunately, many of these managers want to be (or are only able to be) involved at a micro level, but they still want to participate in the process. They will often voice their opinion about how they think the product should look and work. Ever heard of “HIPPO syndrome”? This means allowing decisions to be made according to the opinion of the highest paid person in the room rather than that of the expert and cold, hard data. Unless you’re able to get buy-in and prove the value of your designs, i.e., defend your decisions intelligently at a level all stakeholders can understand, ultimately all you can do is disagree. Not a good option. In most cases, the outcome will see your opinion overridden, which, in most cases will be detrimental to the product. It’s never easy to defend your decisions, especially when the person questioning you is in a senior position. Take what you know about the people you work with and use it to your advantage. Based on what you know about your colleagues, you should be able to anticipate how they might react to your ideas. By identifying their values and motivations, you may better understand their perspective and be able to take a pretty good guess at how they might react to your designs. Also, use your insight into that perspective to prepare answers and reasoning in advance—this will make it a little easier to defend your decisions. Good public speaking and communication skills also allow you to present new ideas and designs to key stakeholders and get them on your side early on in the game. By presenting your process to them in advance and showing that there’s thought behind every decision, you are giving them insight into how their project will progress while demonstrating the amount of work that is involved. Most stakeholders and clients don’t fully understand the work involved in designing a site or an app. Explaining your approach to the design process and your proposed solution or any issues or challenges you foresee will go a long way to helping cure HIPPO syndrome. It’s a combination of education, information, and evangelizing all at the same time. Design deserves a space at the head of the table; it deserves a chance to shine. It’s exhilarating to realize we are in an age where this isn’t uncommon, but if this is where we want design to remain and grow from, as designers, we really need to be able to talk business. If we truly want the opportunity to influence how organizations work, we need to go beyond the aesthetics and customer goals—we need to participate in conversations about business objectives, technical solutions, timelines, budgets, process, resourcing—the list goes on. We need to be politically aware and have exceptional personal skills, including emotional awareness, and excellent communication skills. For most designers, talking business does not come naturally. It can be hard to overcome your resistance to being up front, but from the moment you step into the room, be confident, pleasant, and professional. Don’t take a back seat. Give a firm handshake and make eye contact. Throughout the meeting, participate in small talk and, without coming across as pushy or arrogant, make sure your voice is heard. During discussions, speak up and use your body language to communicate confidence. Try not to over-communicate or take a bully stance—pause regularly, listen attentively, and give time for questions. This may seem basic, but people often really struggle to establish themselves when they are out of their comfort zone. Working remotely means you face a tougher task because you rely solely on indirect communication and are unable to read the silent reactions in the room. Body language and facial expressions are a great way to receive valuable feedback; by being remote, you may miss some of those social cues. So what’s the solution for those of us who work from home, often across the world and through several layers of language barrier? Choose the right remote communication tools. First of all, choose the right tools with which to communicate; there’s nothing worse than technology failing you in the middle of a really important meeting. There are dozens of tools to choose from, each with its own advantages and disadvantages. GoToMeeting has established itself as the go-to solution for video conferencing for good reason: HD quality, screen sharing capabilities, and personalized meeting URLs. Alternatively, there are also Zoom and BlueJeans. Get yourself a good pointer tool. When presenting designs while sharing your screen, PinPoint helps meeting participants see your cursor more effectively by layering it with an animated graphic of your choice—like a pulsating red circle—or by simply enlarging it. Beyond that, you’ll want to get a good quality headset and external mic. Both of these will improve clarity of communication. Sounding loud and clear goes a long way in making you come across as confident and authoritative. Speak effectively: Be heard and understood. As remote workers, giving presentations without seeing nonverbal cues can be difficult; being unable to see the reactions of your audience makes it hard to decipher what people are really thinking. This works both ways; clients also rely on a designer’s cues to understand what is being said. To engage with your client productively, it is important to speak slowly and clearly. At the same time, don’t completely erase the personality from your voice. If you are excited about a project or feature, sound enthusiastic. By setting an example, you are helping your clients learn how to interact with you online. Be clear and concise: Improve your verbal skills and presentation skills. Good communication means saying just the right amount, not too little or too much. Convey the message in as few words as possible. Effective speaking means saying what you want clearly and directly, whether you are communicating with someone directly or via email. If you are rambling, the likelihood is that your listener will tune out and become unsure about what it is you are trying to say. Prepare. Think about what you want to say before you say it. Provide the client with opportunities for giving feedback. You should be able to accept—and even encourage—feedback from others. Listen to the feedback you are given and ask clarifying questions if you are unsure of the issue. Listening and the ability to speak confidently play equally important roles in good communication. When concluding the meeting, either ask for the feedback to be documented and shared or suggest writing some quick follow-up notes and sharing those. This way, any misunderstandings can be quickly identified. An important skill is knowing what form of communication to use when, for example, some serious conversations (finance, project delays, etc.) need to be done in person. Think about the individual you want to talk to; if they are a busy person, you might want to convey your message through email but keep it simple and get straight to the point: “Treat email responses like text messages, using a set number of sentences per response.” Your thoughtful choice will be appreciated and more likely to result in a quick and positive response. Set expectations and have regular reviews. A client needs to know what to expect from a working relationship, and it’s a good idea to begin by putting some expectations in place way before you start working with them. It’s prudent to create a schedule for how often you think it’s best to speak with them, and how you will be communicating with them for in-between meetings and calls. Err on the side of caution and double check that everything is clear. It is far better to communicate frequently with clients than to under-communicate and leave them in the dark about a project’s progress. Discuss how they can contact you if there are changes or updates to the project. The more honest you are and the earlier you speak about this sort of information, the more satisfied your clients are likely to be. Finally, and most importantly, make sure you stick to the expectations you have set up. The difference between a good designer and a great designer is having the ability to solve problems as well as being able to articulate how their design is solving those problems. The ability to offer thoughtful communication about a problem they’re solving is at least as important to a designer as the ability to design the perfect solution every time. As designers, we have the ability to create an environment where everyone is on the same page, where reasoning and justification align both design and business goals and unite everyone involved through coherent thinking. It is important for designers in a role of authority to have the ability to lead, inspire, and motivate teams as well as communicate with other authority figures. Communicating up is a skill in itself, but as with explaining your design decisions, it’s about understanding what makes your superiors tick and understanding their priorities. Good communication goes beyond just having the ability to articulate your reasoning and design processes. Beyond oral presentations skills, it is also critical for a designer to be able to write well. Writing is not just about putting words on paper. Good, clear, well-considered writing represents clarity of thought. By taking the time to improve your writing skills, your vocabulary will improve naturally, which in turn will benefit your verbal communication. Communication is easy. Good communication is a skill. Fortunately, good communication habits can be improved with planning, preparation, and regular practice. 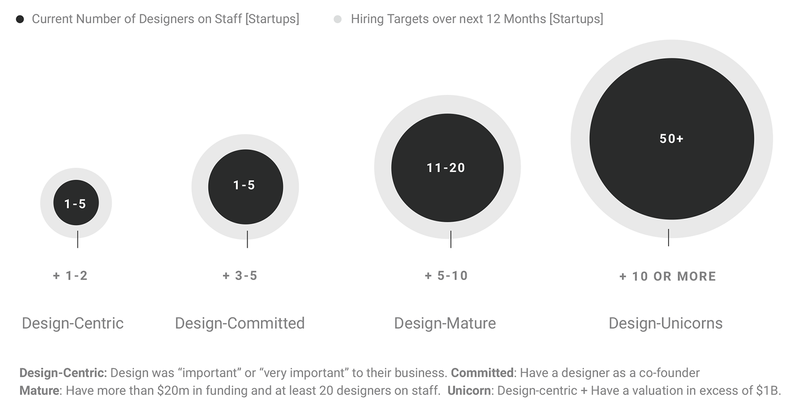 Design as a profession is no longer single-skilled. It is essential that designers focus not only on cultivating their abilities with the creative tools they use but also on improving their ability to communicate clearly and effectively. Great way to explain the effective communication with designer i love the step " good to great" definitely designer would be problem solver , Love you Bronwen keep it up buddy !